AAt the Lesedi African Lodge and Cultural Village you can experience the colourful sights and sounds of authentic African villages and learn about the ways of the Zulu, Xhosa, Pedi, Basotho, Nguni and Ndebele people. Traditional song and dance and a feast fit for a king top off an unforgettable day and night. LLesedi, which means “light” in Sotho, features traditional homesteads of the Zulu, Nguni, Xhosa, Pedi, Basotho and Ndebele people, where guests can immerse themselves in cultural activities. If you’re staying over, the village offers accommodation in each homestead, ranging from luxury suites in the Nguni village to twin rooms in the Ndebele homestead. 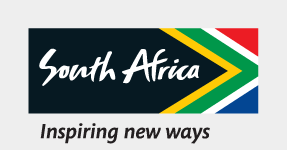 BBesides an array of cultures, South Africa also has 11 official languages. UUpon arrival at Lesedi, you’re welcomed to the Ndebele village before settling down to a fascinating presentation on the history of South Africa's Rainbow Nation. You’re then taken on a guided tour of each of the cultural villages, where you can learn all about the various rituals and folklore of different South African cultures, and even learn a bit of the local lingo. TTraditional songs and dances round off the day's activities, followed by a buffet dinner of traditional fare fit for a king, hosted in the 200-seater Nyama Choma restaurant. Put your taste buds to the test by digging into some impala, ostrich or crocodile meat then gather around the open fire at the end of the evening to listen to tales of African mythology. OOvernight guests at Lesedi will wake up to the sounds of the maskanda guitar (a Zulu guitar) and African melodies before being treated to a full English breakfast. If you want to immerse yourself in South African culture, this is the place to do it.